New! 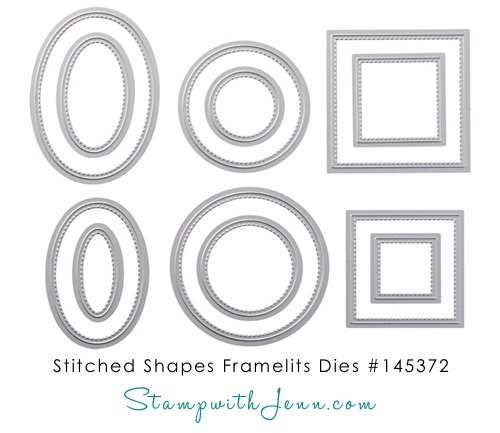 Stitched Shapes Framelits Dies (Item #145372)! These trendy framelits will show up in the next catalogue starting in June 2017. But during November 2016, you can get them early!! 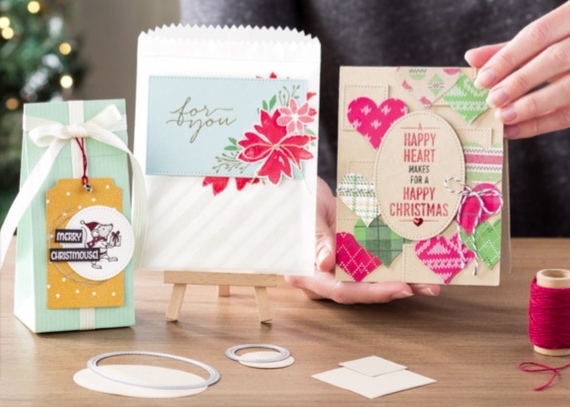 This collection of ovals, circles and squares all have cute stitching around the perimeter of the dies and ejection holes for easy paper release. Co-ordinates with Stampin’ Up! Layering Ovals Framelits Dies, Layering Circle Framelits Dies and Layering Squares Framelits Dies. Shop Online now for these dies or email me at fun@stampwithjenn.com and I’ll get them ordered for you.